Sonlife Church’s Next Generation ministries include Sonlife Kids, Sonlife Youth and Sonlife Young Adults. Our vision is to make disciples of the next generation (0-26yrs) that are moving closer to Jesus, and moving closer to others. Sonlife Kids services run every Sunday during our adult service. Kids engage in worship and teaching, followed by application that is age specific. The program is fun and dynamic, set up in a safe and welcoming environment. The Ignite nursery space is available for children aged 0-2 and their parents, with a live stream of the service in the room. Sonlife Kids also host fun special event days during the school holidays, which can be found on the “what’s on” page. Sonlife Youth is for all those in High School. We meet every second Friday night during the school term, where we worship, learn, and have some epic fun! We also gather once a month during the Sunday service. Whether you are in the thick of uni studies, or have started a full time job, being a young adult often equals invariable change. We gather fortnightly on Friday nights, where we encourage and learn from each other as we seek God together. Timothy is the Next Generation Pastor at Sonlife Church. 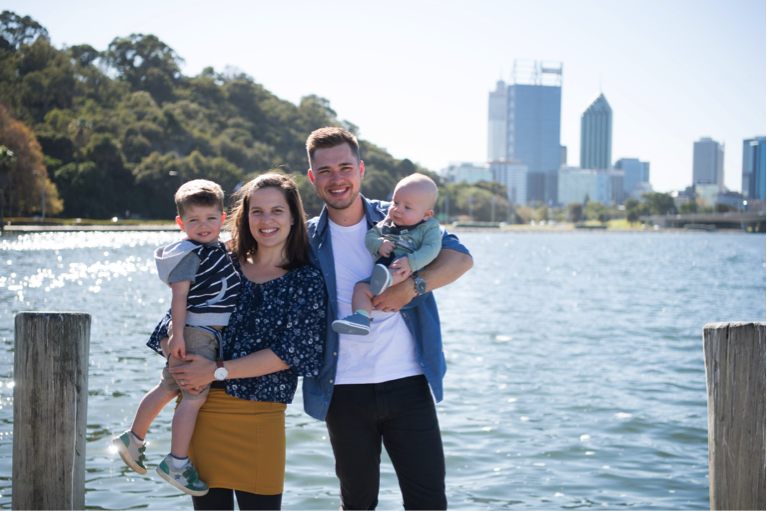 After spending 7 years working in youth and young adults ministries in Melbourne, he moved to Perth with his family in 2017. Timothy has completed his theological training at Melbourne School of Theology. Since moving to Perth he has loved exploring everything WA has to offer. When not engaged in ministry Timothy, his wife Kelsey and their two boys, Judah and Asher love discovering new parks, beaches, cafes and everything in between. Timothy is energetic and enjoys keeping fit, making coffees and having meaningful conversations with young people. He loves playing basketball, watching basketball and one day hopes to coach his boys basketball team.